Last week saw the delivery of Crystal River Cruises’ fifth ship and fourth newbuilding in eight months, when the 106-berth Crystal Ravel was delivered in Wismar, Germany. Elsewhere, Cunard’s former North Atlantic liner Queen Elizabeth 2 is finally advancing towards opening this October as a floating hotel in Dubai. And Princess Cruises, with its Majestic Princess, Golden Princess, Ruby Princess and Sun Princess, prepares for a 200,000-guest season in Australia and New Zealand in 2019-20. The fifth luxury vessel for Crystal River Cruises was officially handed over to the company today in Wismar, ahead of its maiden voyage next month. The handover ceremony for Crystal Ravel took place last week at MV Werften shipyard, where her predecessors were built. Joining Crystal president and ceo Tom Wolber were Tan Sri Lim Kok Thay, chairman and ceo of Crystal’s parent company, Genting Hong Kong (GHK), Colin Au, group president of GHK, and Jarmo Laasko, managing director of the shipbuilders MV Werften. Crystal launched its Crystal River Cruises experiences in 2016 with the 156-berth Crystal Mozart and was voted “Best River Cruise Line” by the readers of Travel + Leisure after only one year of operation. 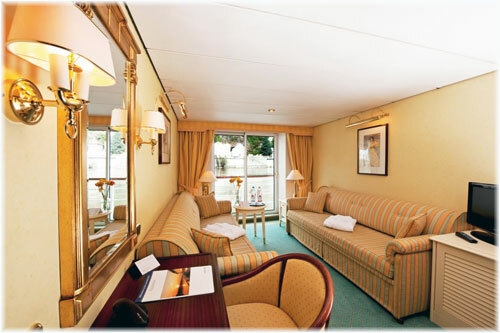 The new ships, meanwhile, comprise the first and only all-suite, all-balcony, all-butler ships on Europe’s rivers, with all categories of accommodations above the water line. Crystal Ravel joins Crystal River Cruises about a month after sister ship,Crystal Debussy was received by the company at the shipyard. Crystal Debussy began her maiden voyage on April 9 from Amsterdam. Crystal Ravel’s maiden voyage leaves Basel on May 10 for Vienna and she will sail itineraries along the Rhine, Danube, Main and Moselle visiting ports of call in Austria, Hungary, Germany, Switzerland and Slovakia. Like her sister ships Crystal Bach, Crystal Mahler and Crystal Debussy, the Crystal Ravel will offer butler service in every room category, king-sized beds, panoramic balcony-windows, walk-in closets and dual vanities in the bathrooms in most categories, robes and slippers, and wall-mounted flat-screen televisions. Additional features include three open-sitting dining venues: the Waterside Restaurant, namesake Bistro cafés and the exclusive Vintage Room, plus the Palm Court for entertainment, presentations and sweeping views of the countryside. The legendary Cunard liner Queen Elizabeth 2, which left North Atlantic and World Cruise service ten years ago, is quickly being turned into a luxury floating hotel in Dubai, complete with original features and some modern updates. The first phase of renovations to the thirteen-deck ship has just been completed, meaning that passengers can now stay in the luxurious suites, experience a host of fine dining restaurants and enjoy some of the entertainment. The first phase of the QE2 Hotel officially opens this Wednesday, April 18. 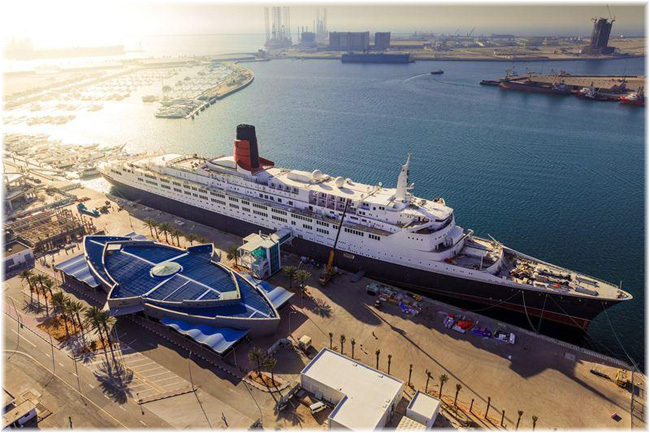 Previously owned by Cunard, the QE2 is now owned by CFC hotels, part of Dubai’s Ports, Customs and Free Zones Corporation, who have been working on the makeover. 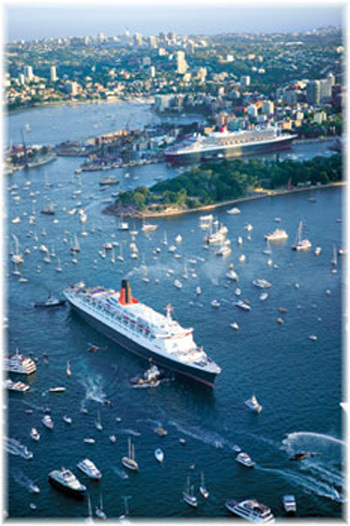 While the QE2 has undergone an upgrade with new technology and modern features, the work has been more restoration than renovation. Guests can expect to see her period furniture, famous memorabilia and other classic interior design features including iconic artwork intact. The rooms and suites will have the original portholes and windows that sailed the Atlantic. A soft launch will see parts of the ship being opened to guests in an exciting milestone for the project as it marks the launch of its hotel. The full thirteen decks of rooms, dining and entertainment are set to open officially in October. There’ll be a host of rooms and suites, from the small but beautiful cabin-themed Standard Rooms, to the 818 sq ft Royal Suites. QE2 boasts two spectacular Royal Suites named after the Queen’s mother and grandmother, each boasting its own private veranda, conservatory and dining room, as well as a breathtaking bedroom with opulent interiors. The QE2 Hotel will offer a selection of thirteen room and suite categories, making it easier to find a rooms suited to different budgets. When completed, the hotel will also boast thirteen different restaurants, although in the first phase only five will be open. As part of the venture, a number of the ship’s original restaurants will retain the same names and décor for a touch of history. The hotel’s signature restaurant, The Queens Grill, will serve the best of British cuisine. The historic lounge bar, The Chart Room, will be joined by the traditional English pub, The Golden Lion. There will also be the family-friendly Pavilion, all-day restaurant The Lido, The Grand Lounge for cabaret and the Yacht Club, a revival of the former venue. History buffs will delight in the ship’s QE2 Heritage Exhibition that offers a glimpse into the ship’s history, spanning decades from her service as a war ship during the Falklands War to when she was turned into a luxury one-class cruise ship by Cunard. Princess Cruises has announced its largest Australia and New Zealand season for 2019-20 that will see five ships travelling to more than 100 destinations with 200,000 passengers, sailing from Sydney, Perth, Adelaide, Melbourne, Brisbane and Auckland. As well as Australia and New Zealand, otineraries will include Singapore, Hong Kong, Fiji and Bali. 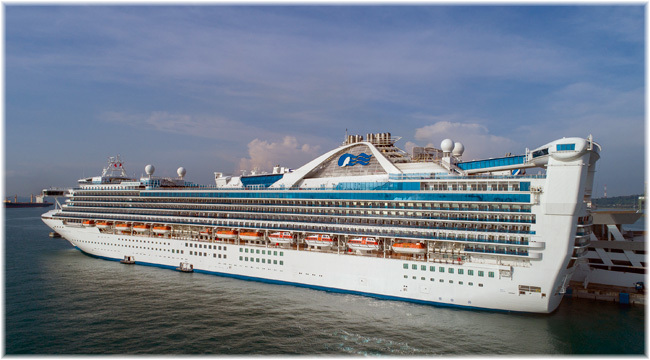 The season will see the return of the 3,560-berth Majestic Princess, the line’s newest ship, from China, as well as the maiden arrival in Australia of the 3,124-berth Ruby Princess. Both ships will sail from Sydney. In South Australia the 2,624-berth Golden Princess and 1,950-berth Sun Princess, as well as Majestic Princess, will offer itineraries to and from Adelaide.